Eleri has a great interest in the Triple Harp, especially playing traditional Welsh folk music. She is very fortunate to have a ‘Gwalia’ Triple Harp made by John Weston Thomas. During 2001, she appeared on a television broadcast in Wales, ‘Cam Ymlaen’ and ‘O Flaen dy Lygaid’. 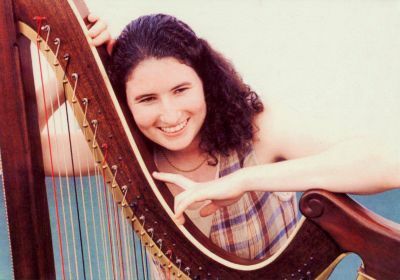 Eleri played the Triple Harp at the opening of the National Assembly in Cardiff, in 1999. Later that year, she performed in California to launch the CD ‘Yn Iaith y Nefoedd – In the Language of Heaven’. I have been fortunate to be able to help with various charities. Malton Methodist Church – Ryedale Festival.